She had that aura of kindness and goodness that whenever I am with her, I felt a sense of calmness, something that I find it difficult to put it in words. It was in 2016, during an art biennale event that I chanced upon three breathtaking acrylic paintings and was immediately bewitched by it. 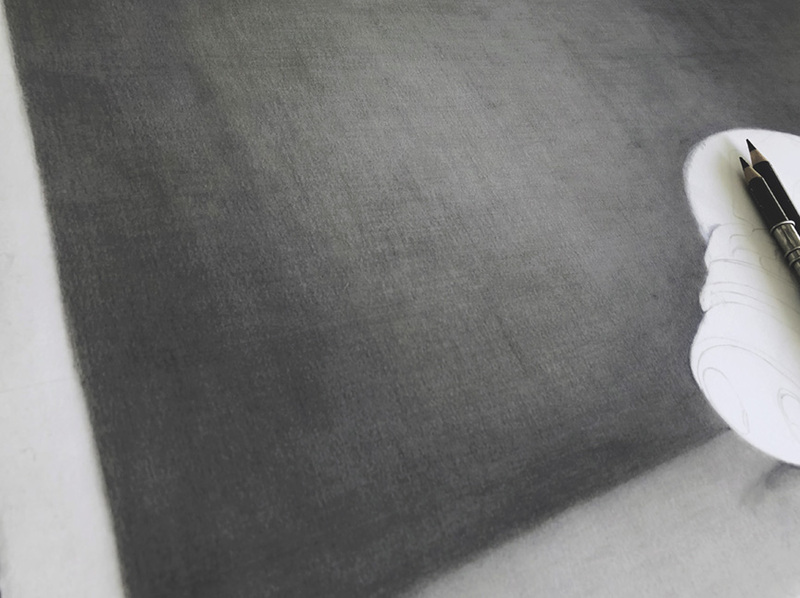 I was so enthralled by those artworks that I vowed to search and meet the artist personally. During the pre-launch of the biennale, all participating artists were ushered into the hall for the event briefing. I was seated beside two ladies who happened to be Sherin and her sister, Alice. It was not until almost halfway through the briefing that I found out that she, Sherin, was the artist whose paintings I was admiring earlier. Speaking about coincidence! She will always call me on the phone whenever she saw my completed artworks on Facebook. There was one time which I remembered so clearly, she told me to hush and just listen to what she had to say about my artwork. I could hear from her voice as she expressed her thought, she was almost closed to tears. That was how passionate and supportive she was. There was one night I had a dream about her and throughout the whole day, I felt a bit uneasy., something unexplainable. On the same day, in the late afternoon, I received a the call from her telling me about the cancer. She sounded very positive and what she told me was something that I will never forget. She explained in length that she will take the necessary steps to fight the disease but, on her terms. And if it fails, no regrets. She is extremely grateful for everything in her life, some, even more than she expected. There is nothing more she could ask for. Instead of feeling sad of losing a friend, I celebrate her life and cherish our friendship for I am blessed to have crossed path with such a lovely soul. 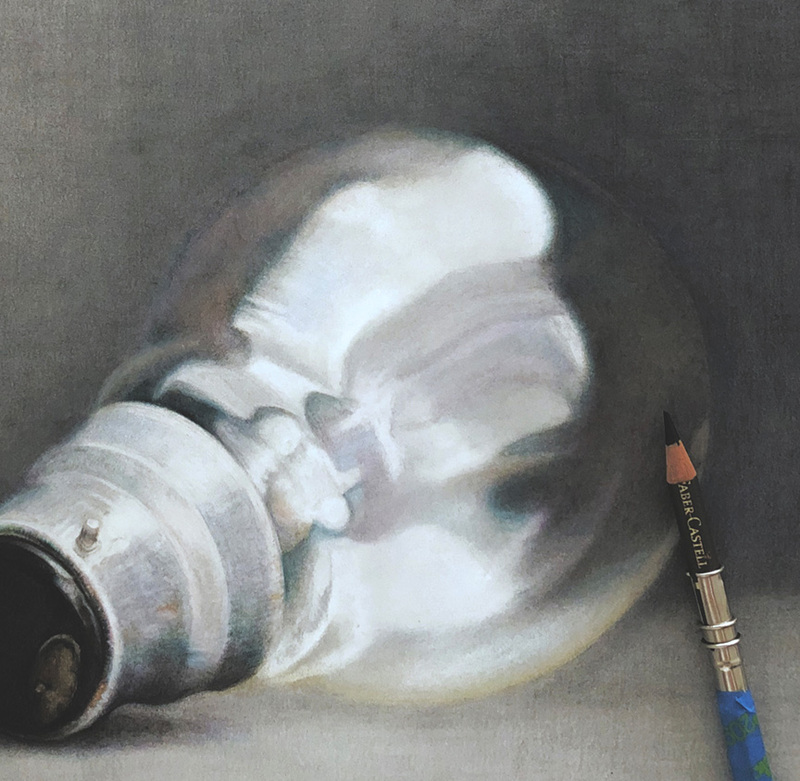 I had this reference photo of the lightbulb for quite some time but never thought of painting it. 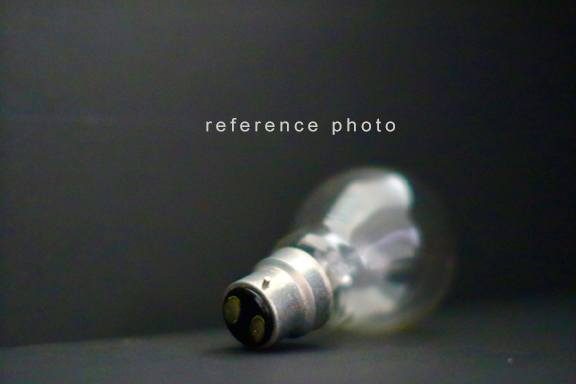 While going through all my photos one day, I kept coming back to this very particular lightbulb. Deep down, ‘something’ was telling me to paint it. It somehow has a strong connection with Sherin. Just so very difficult for me to explain that feeling and put it in words. This piece of painting is very different from my usual style. There is no distinctive details or strong bold colours. 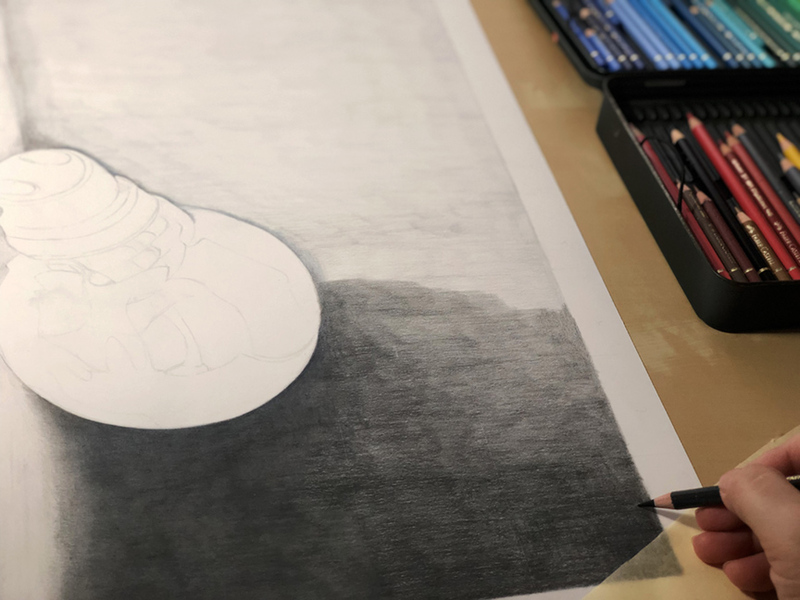 Even though the background was rendered in grey tones, it is not dark and gloomy. The overall projection or feel has to be calming and soothing. Why a lightbulb? Strange to to think that it can be a representation of a person, isn’t it? But to me, it was perfect. 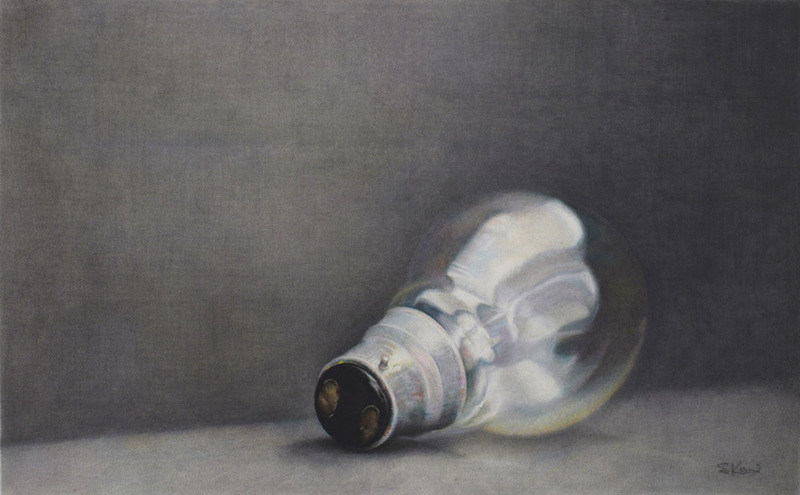 The lightbulb, even when it has done its duties, disconnected, remains translucent. With just a sliver of light in the darkness, it reflects the muted colours that we do not see through our naked eyes. It is always very difficult for me to express my in-depth thoughts and feelings with words, which is why I paint. I just have to leave it to the viewers to experience it themselves. After all, that it what art is all about.